What is a Ninja Class? Our classes are focused on group support and friendly coaches who encourage athletes of all skill levels! 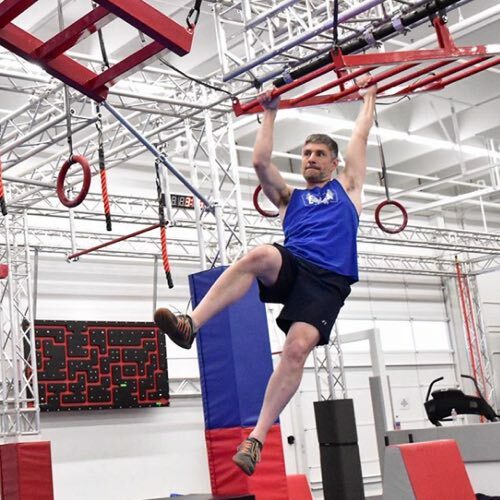 Our unique classes combine exciting obstacles, short workouts, and individual free play. Who are Ninja Classes for? Our classes are suitable for all ages (7 to adult) and cater to all skill levels. We have honed a gym layout so that all participants can enjoy the same space at the same time. If you book your class online, you pay $18 per participant. Alternatively, you can pay in person before class, but the rate is $20. Book online now to save money and guarantee a spot in class! Save even more and become part of the community by enrolling in a membership.